A sign from heaven or from a bird which has significance to you? What does the feather mean to you? 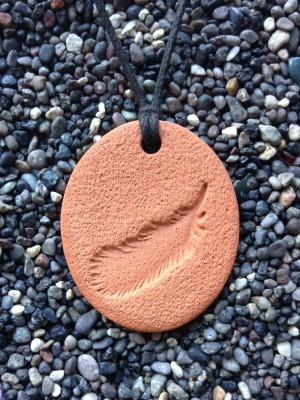 The Feather Pendant measures 3.25 cm by 3.75 cm (1 ¼ by1 1/2in).